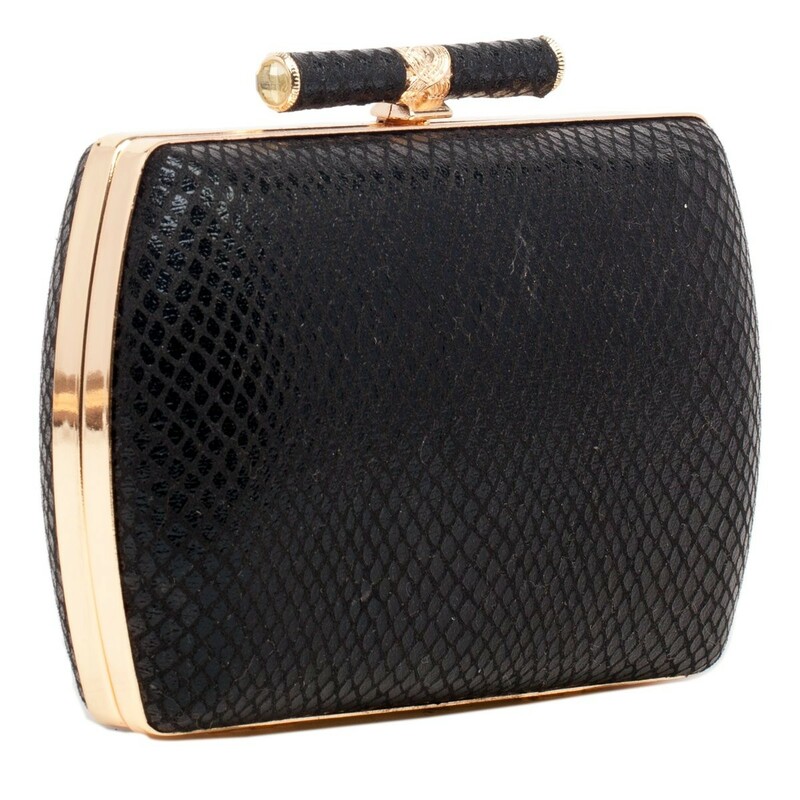 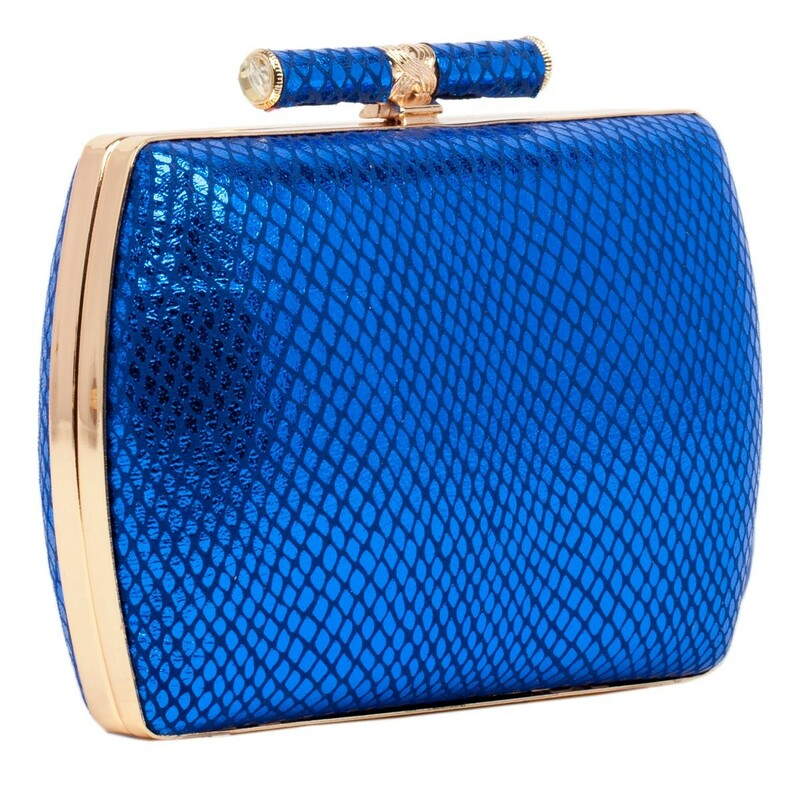 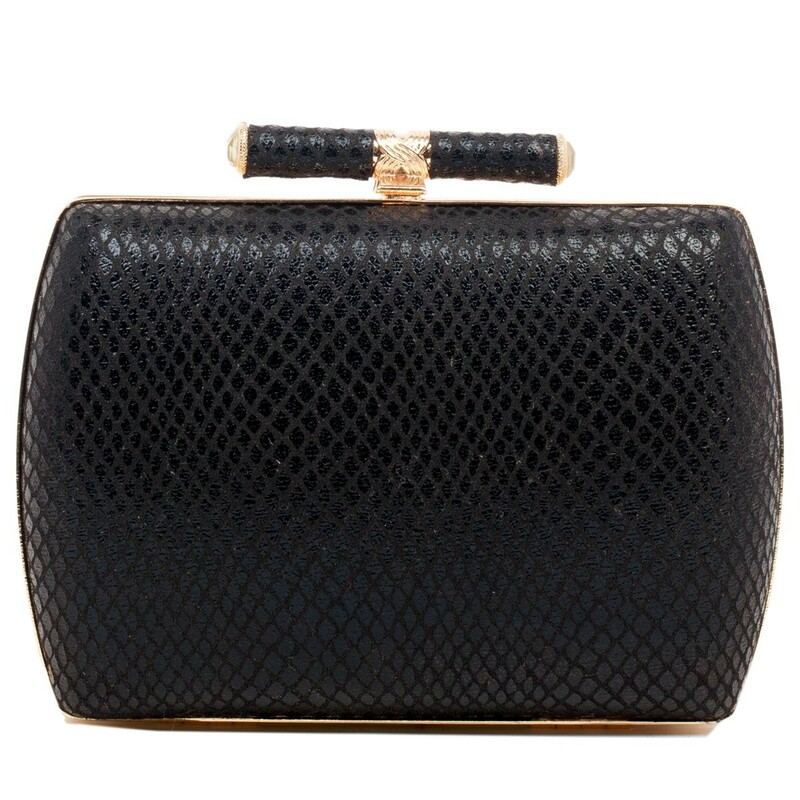 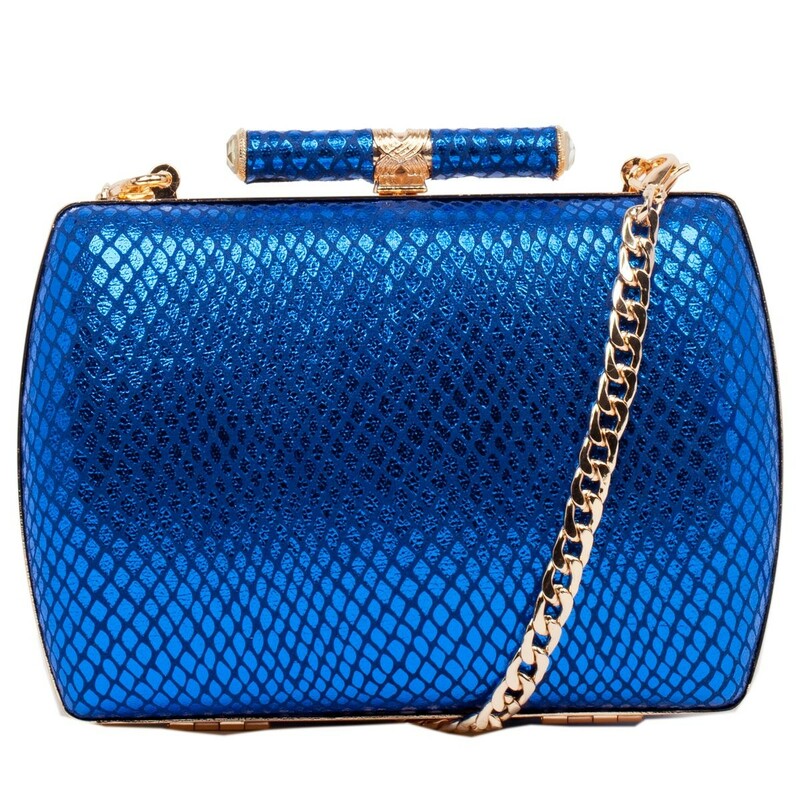 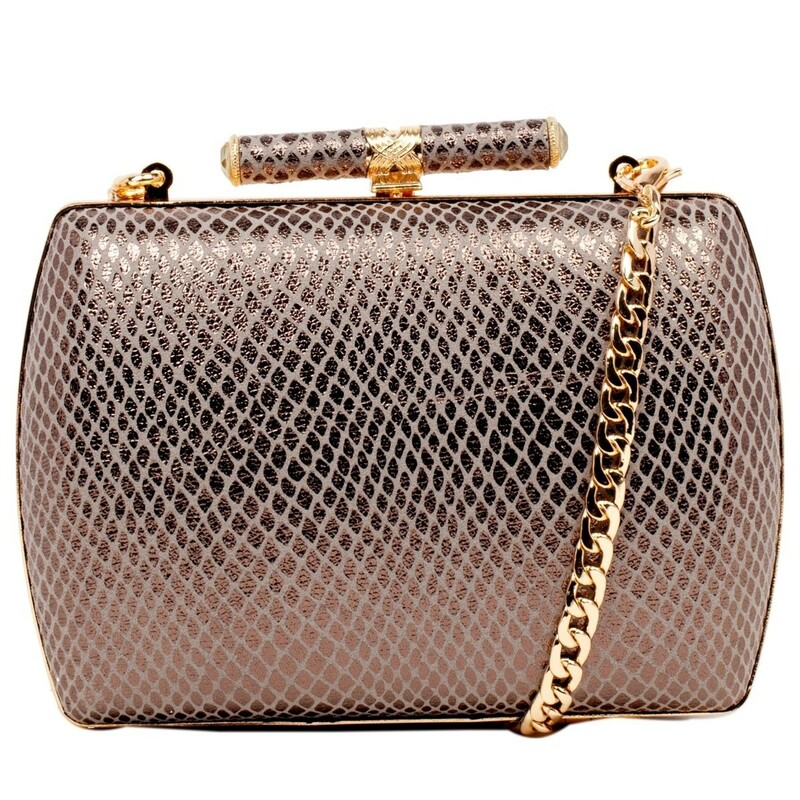 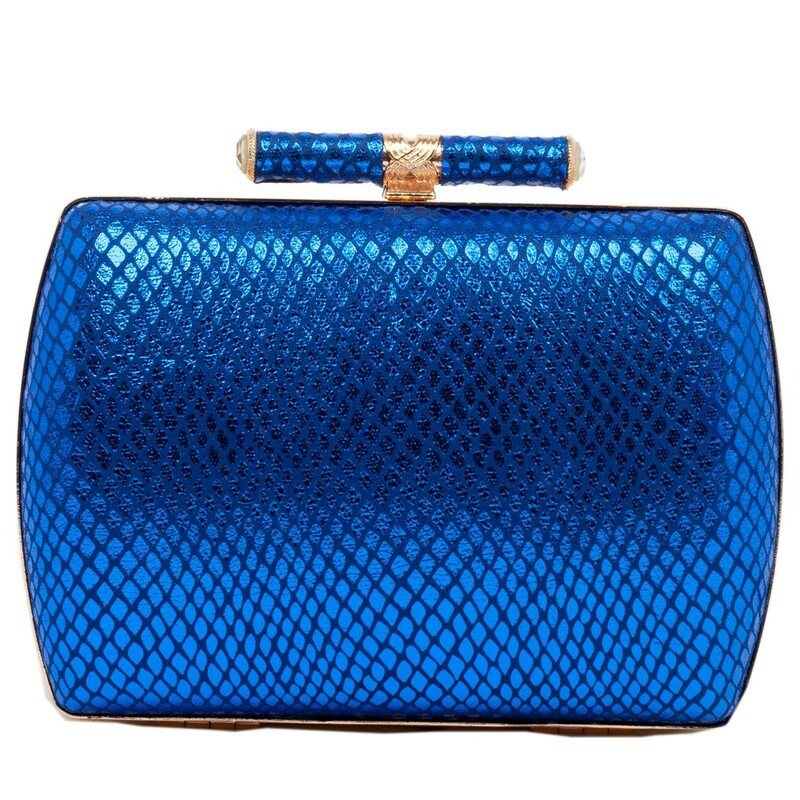 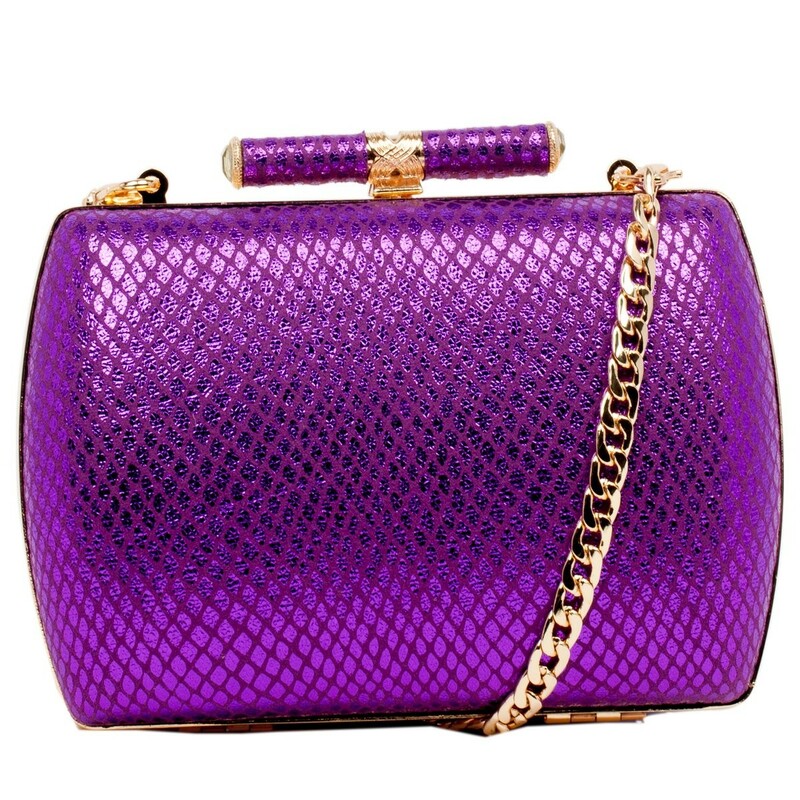 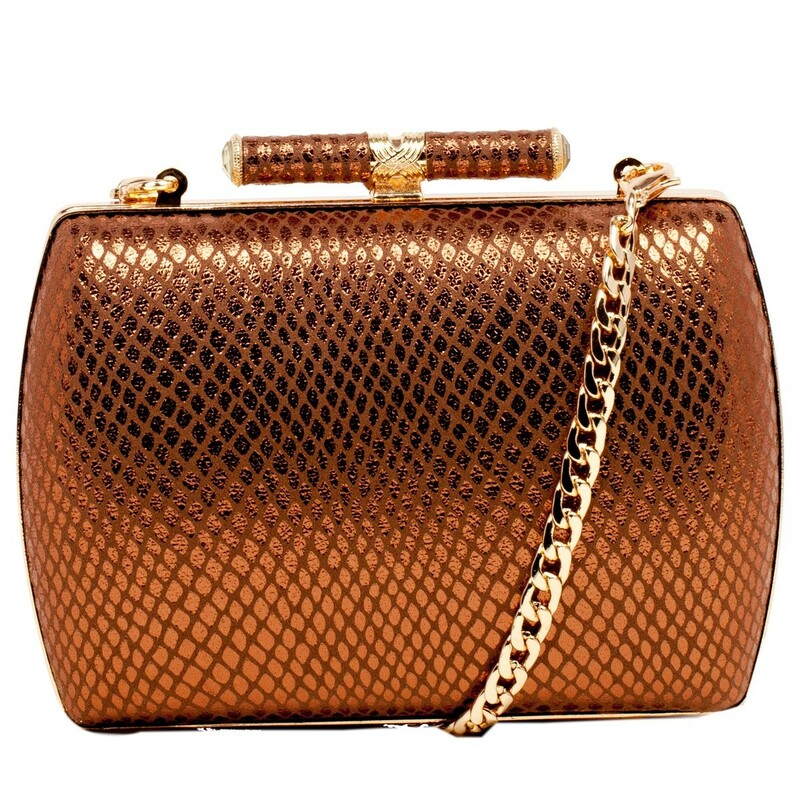 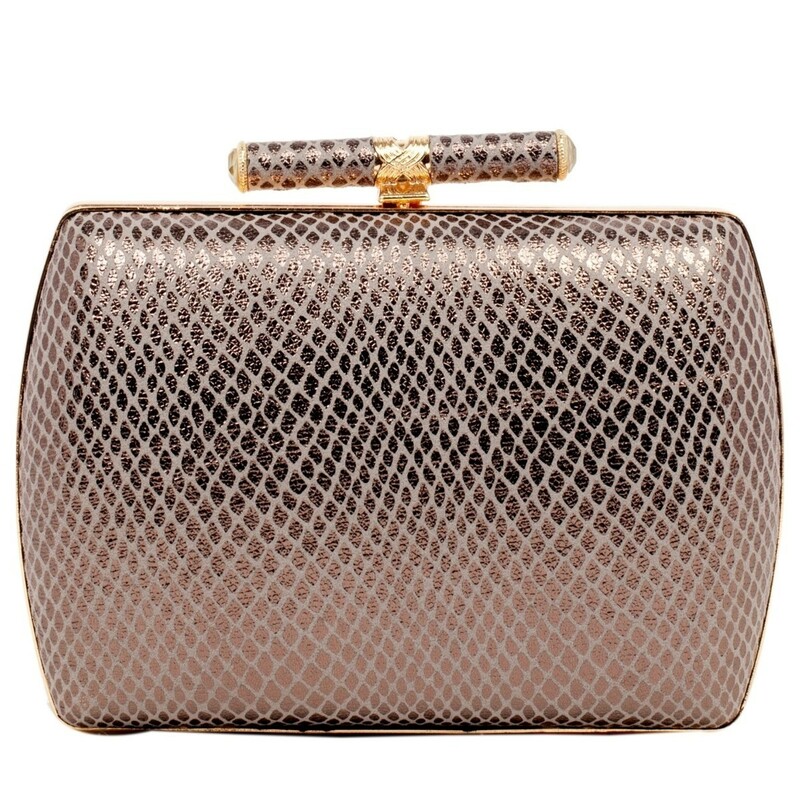 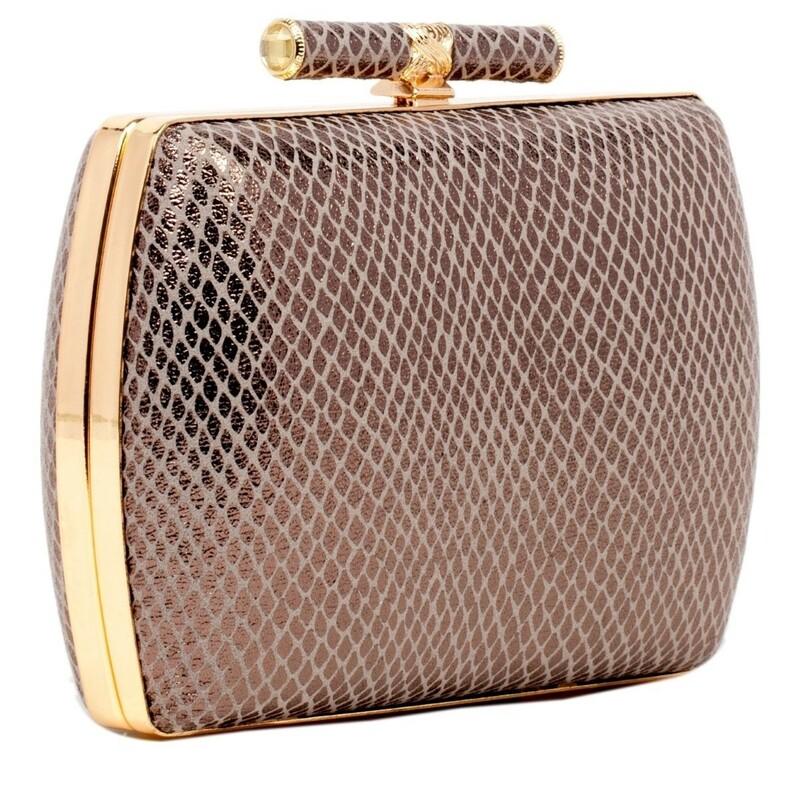 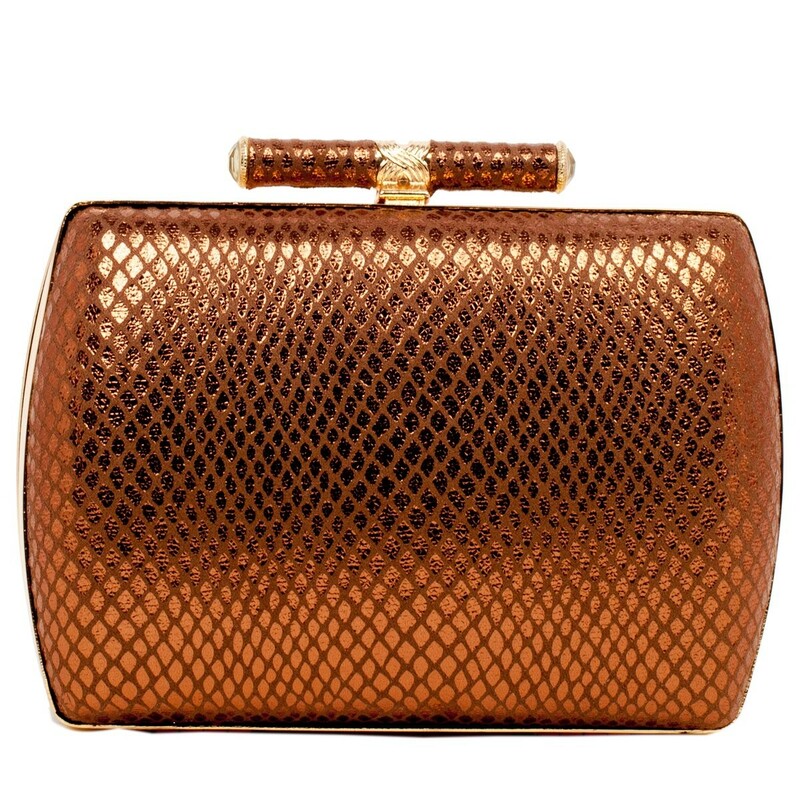 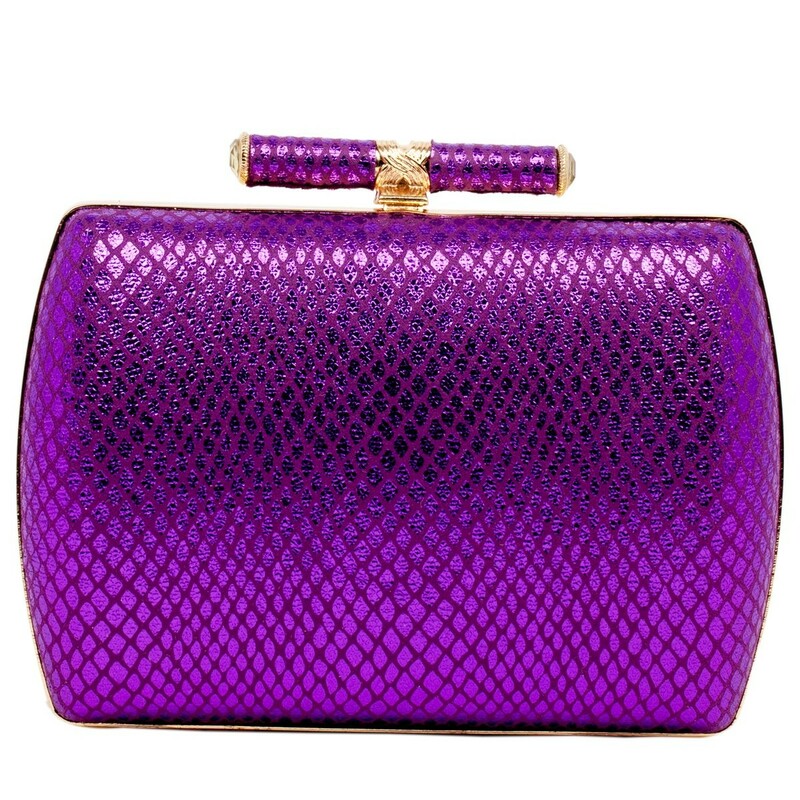 This cute, compact snake print evening bag comes with a detachable chain strap so you can adjust for all styles. 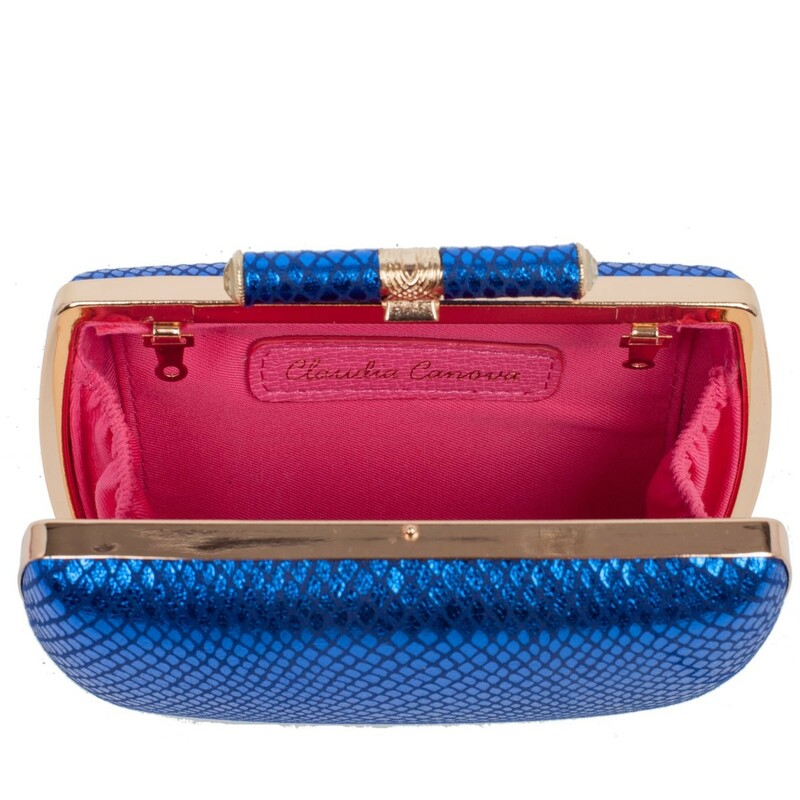 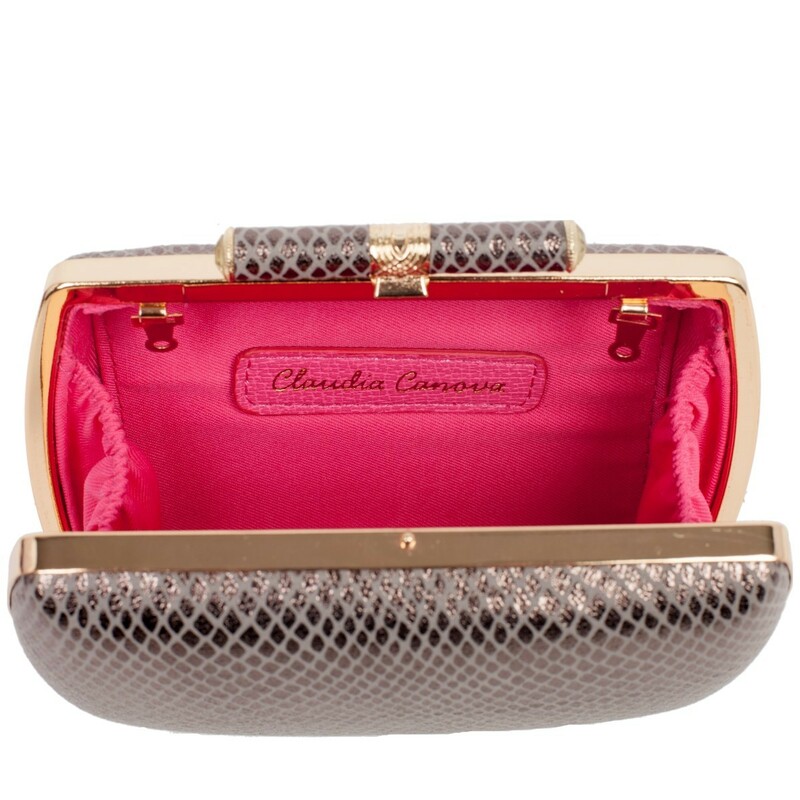 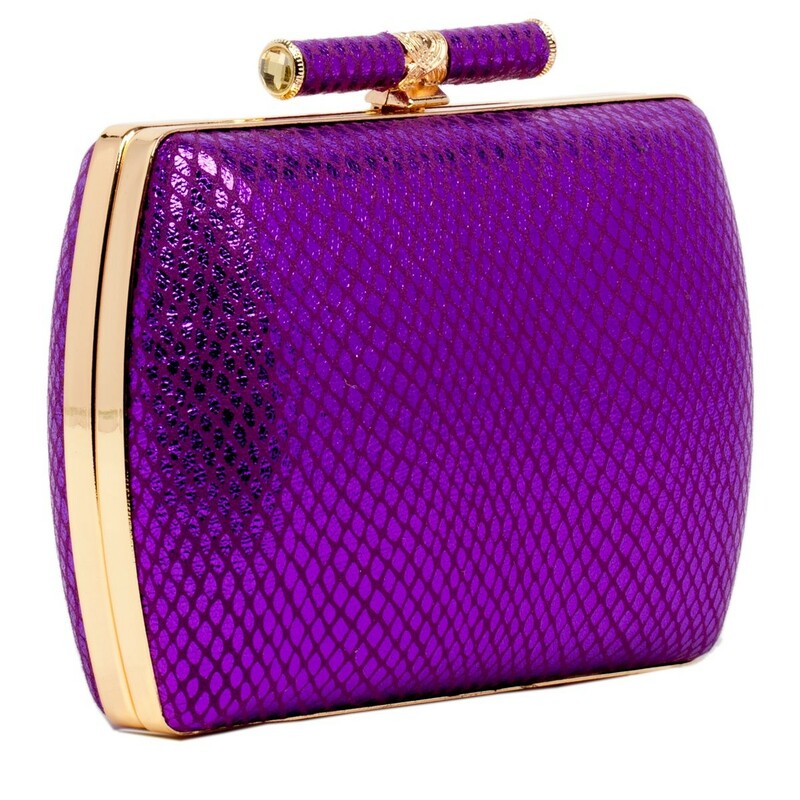 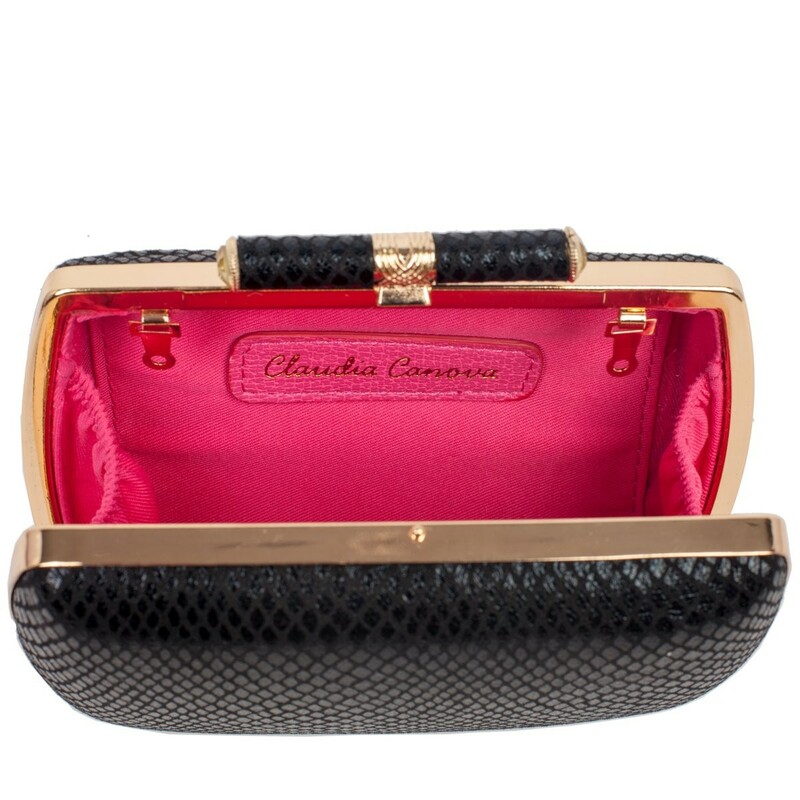 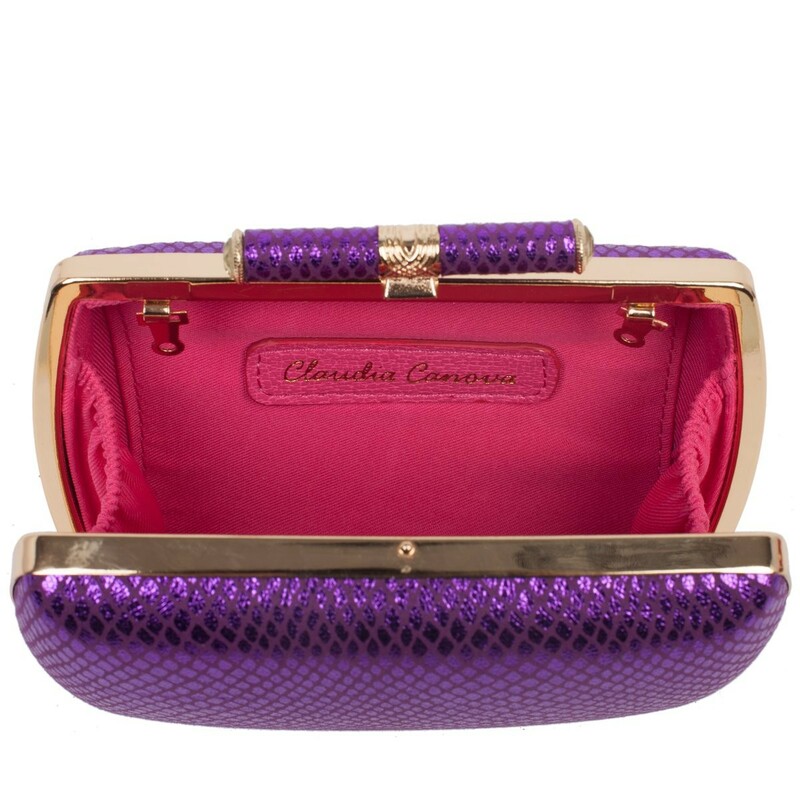 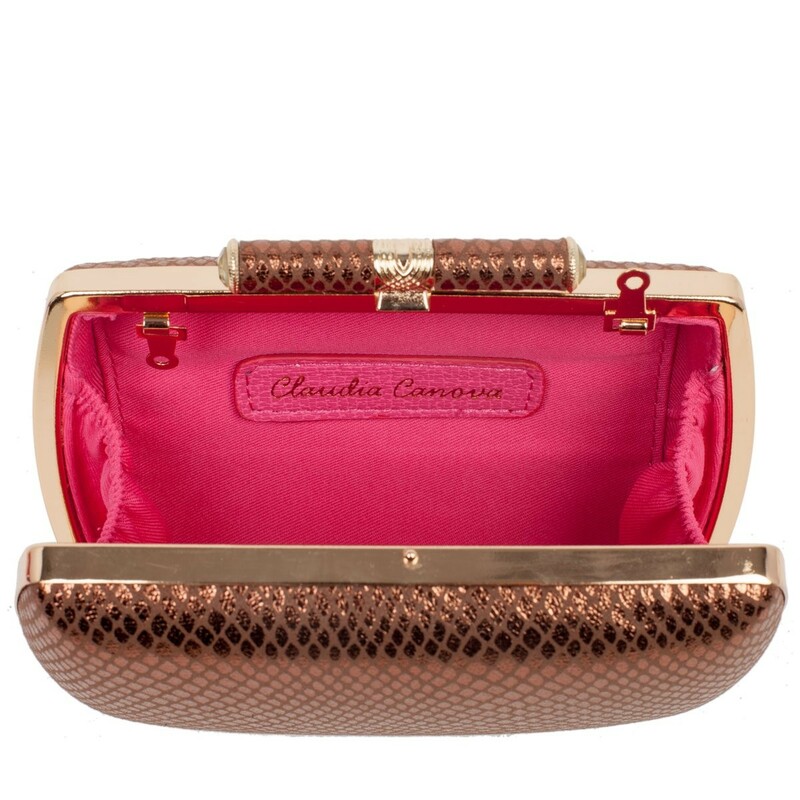 It features a metallic, snake embossed PU exterior and a contrasting fuchsia twill lining for a luxurious feel. 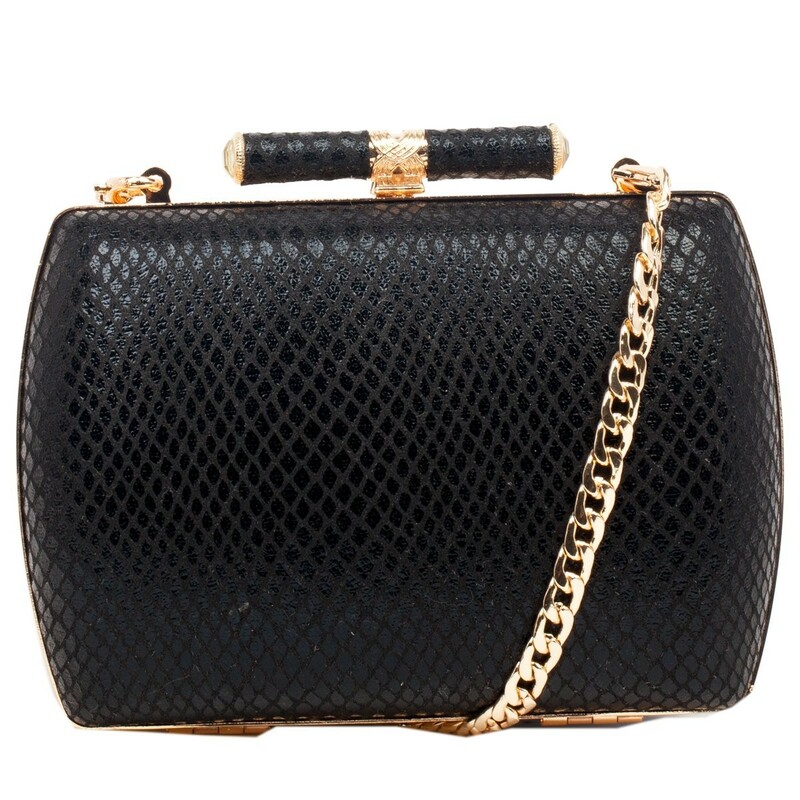 The unique pencil top clasp is a bold feature, making it a super stylish clutch bag.